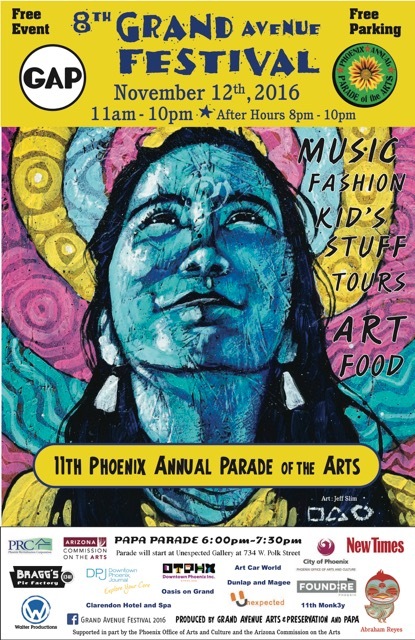 For five years Abraham Reyes Pardo’s artwork helped draw visitors to the Grand Avenue Festival, a neighborhood of Phoenix he loves for its art, countercultural ethos, and post-industrial, Route 66 vibe. 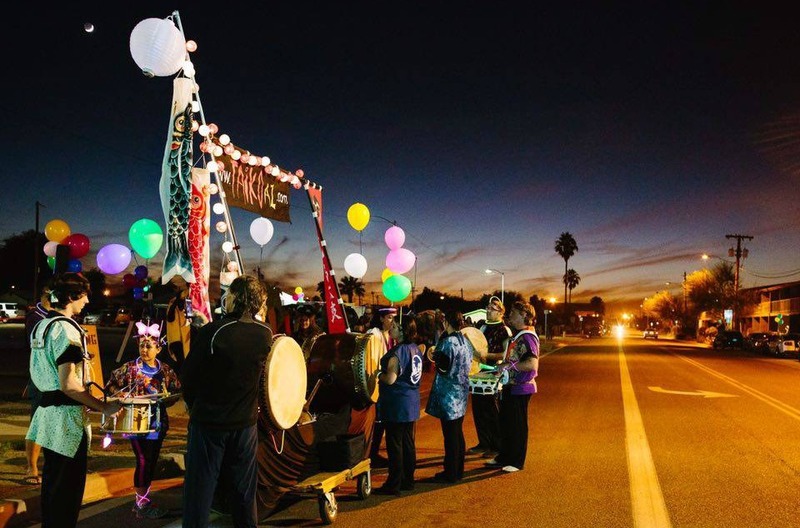 2015 Grand Avenue Festival. 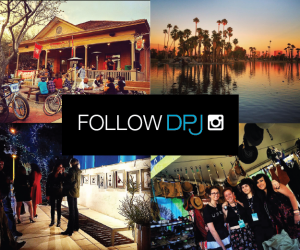 Photo by Jessica Hately. He notes that in its early days, Grand Avenue and Van Buren streets were among the main streets tourists used to travel to Phoenix. Yet during the recession, when he arrived in town, he says, they were also among the hardest hit areas economically. 4th Annual Grand Avenue Festival logo by Abraham Reyes Pardo. 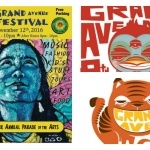 7th Annual Grand Avenue Festival logo by Abraham Reyes Pardo. 6th Annual Grand Avenue Festival logo by Abraham Reyes Pardo. 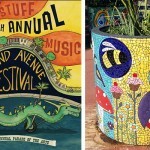 5th Annual Grand Avenue Festival logo by Abraham Reyes Pardo. 8th Annual Grand Avenue Festival logo by Abraham Reyes Pardo. He chose to bring the natural world into his artistic designs, he says, because it is so much a part of Phoenix. Although it’s one of the country’s largest cities, it only takes a few minutes to go hiking at South Mountain Park or drive a few hours to Sedona to go bird-watching, he notes. 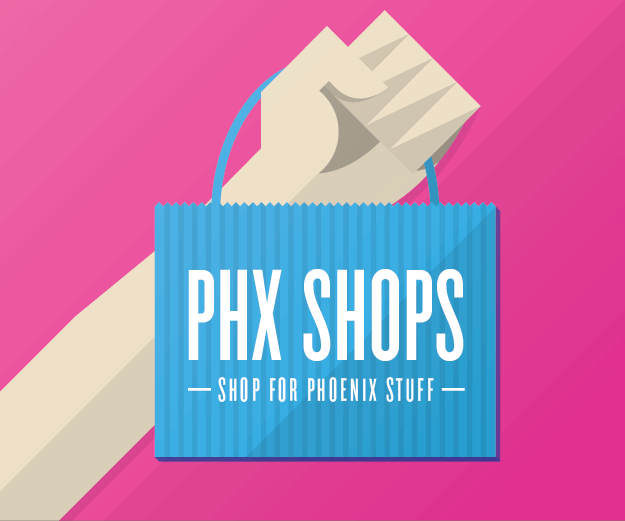 One of the challenges of Phoenix is that there is a lot going on in the city, but “you have to really do your homework” to find out about it, he says, noting he is glad that he could help more people discover the Grand Avenue area and appreciate it like he does. 2016 Grand Avenue Festival Poster by Jeff Slim. Although he moved to Philadelphia in December 2014, Reyes Pardo says he now picks up architecture and design magazines and finds Phoenix is featured “all over the place” in them for its urban projects, noting the big contrast to when it was “ground zero” for the nation’s housing crisis. It’s that sense of urban growth and optimism for the future that’s reflected in this year’s Grand Avenue Festival poster by local artist Jeff Slim. Slim, who is Dine, which is Navajo for people of the land, featured a portrait of his 9-year-old sister looking upward as if she just came out of a ceremony. He sees the Grand Avenue area as being at a moment of growth just like his youthful sister. He painted the picture with acrylic and spray paint on wood, instead of submitting a PDF like organizers suggested. “I don’t work on a computer. I don’t own a computer,” Slim explains. Slim has a studio, Lamelgosa, in the back of Palabras Libreria/Bookstore at 1023 Grand Avenue, and he also has a mural of a typewriter featured prominently in that store, where he often volunteers for Palabras Founder and Director Rosie Magana. 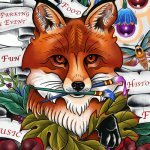 Slim will have an open studio tour on Nov. 12 during this year’s festival where he will showcase some of his new paintings. Palabras will also have a Grand Opening celebration including activities, food, music, and a traditional yerba mate tasting. 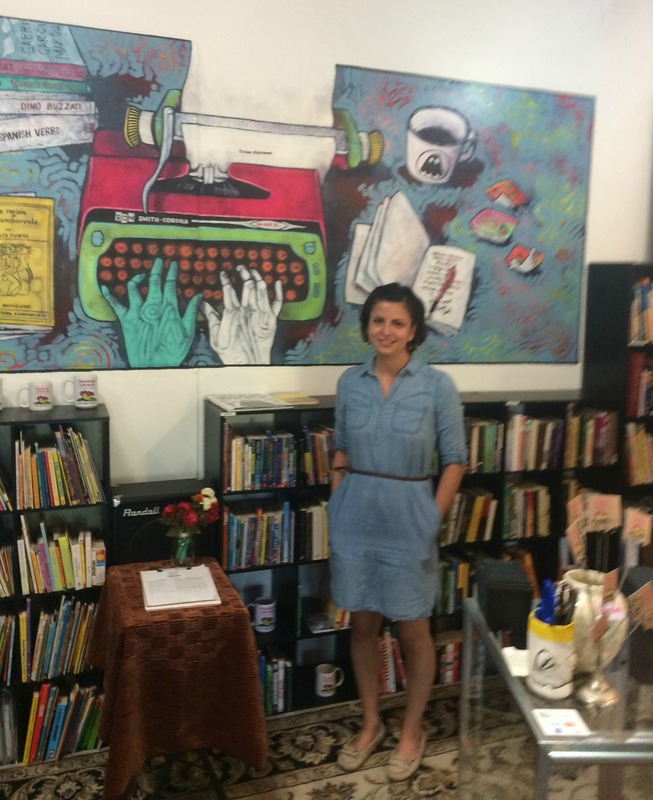 Palabras Libreria/Bookstore Founder and Director Rosie Magana in front of Jeff Slim’s mural. 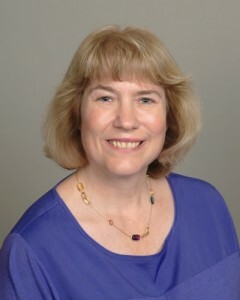 Photo by Jackie Young. When Slim isn’t in his studio, he is a scenic painter for Arizona Opera doing backdrops for their shows. That job has allowed him to be less commercial in the artwork he does now, so he can focus more on free expression, he says. The self-taught artist, who has spent most of his life in the Phoenix area, originally wanted to be a comic book illustrator, he says, and has created art “as far back as I can remember.” A member of the Oakland, California-based Black Sheep Art Collective, he has done art workshops and murals with youth all over the nation. His art has also been featured at local galleries. Although he usually likes his art to speak for itself, Slim says he tries to combine ancestral themes with the traditional and modern. He also appreciates a deeper look instead of merely the surface of culture and history. 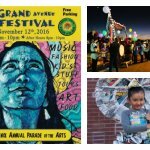 Where: Historic Grand Avenue from 15th & Grand Avenues to Van Buren St.
Graphics courtesy of Grand Avenue Festival.